I try to eat fairly healthy, but lately I’ve been craving cookies. 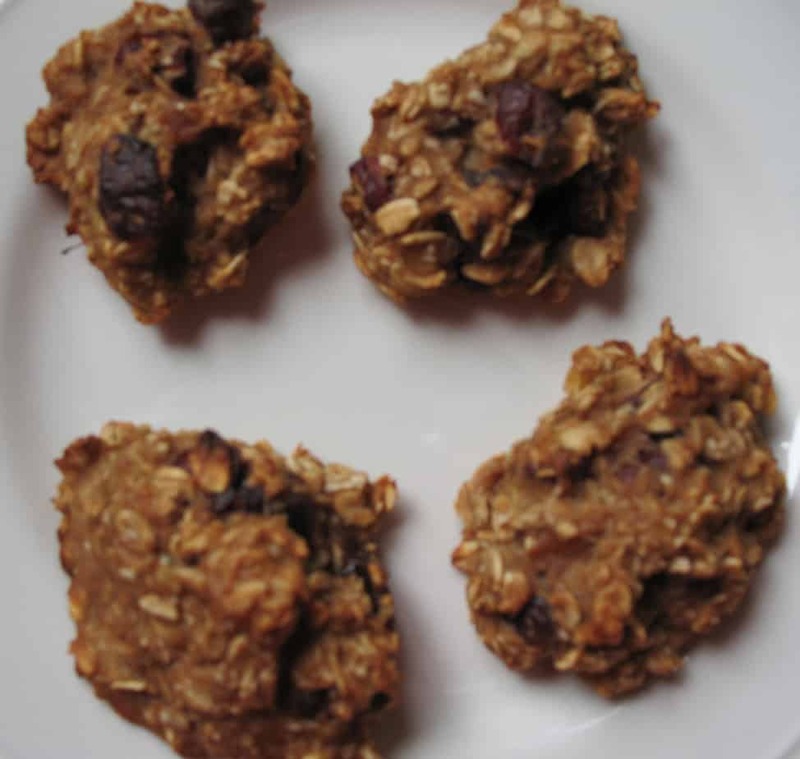 So, I started the hunt for ‘healthy’ cookie recipes. The first one I tried is called Breakfast Cookies. 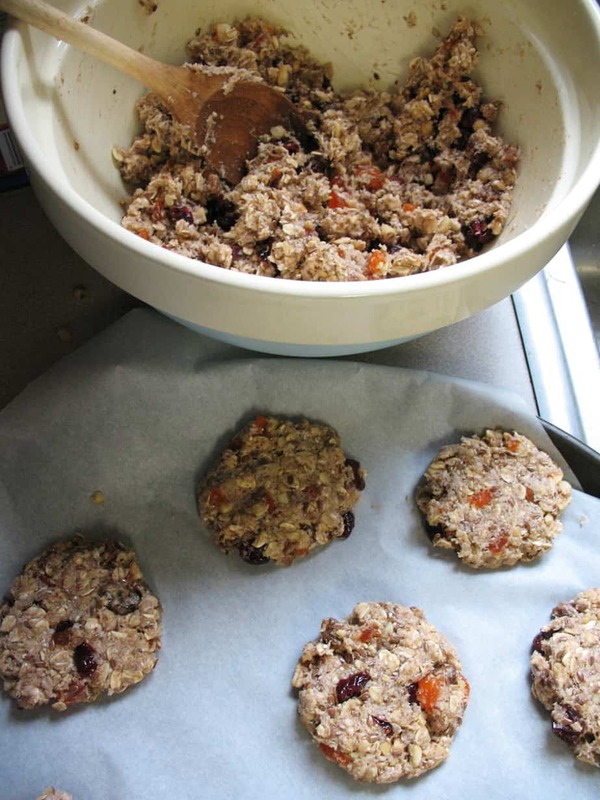 Essentially, they consist of oats, bananas, applesauce, dried cranberries and cinnamon. And they taste good if eaten cold. While warm, they’re a bit sponge-like. Cold, though, they definitely taste like cookies. And they’re easy. And healthy. But then, I had an epiphany and switched things up a bit. Since one of my favorite cookies of all time is non-bake chocolate oatmeal cookies (you know, the kind with peanut butter), and Monster cookies (again, oats and peanut butter), I decided to add some baking cocoa (unsweetened) to the cookies. And swap out the oil for nut butter. And, add some flax and ground quinoa while I was at it. These are definitely the winner in my books, but I’ll give you all three recipes and you can decide what you like best. Let me know. Or, even better, let me know if you add in a twist of your own to improve these. I’m always game to try something new. Mash bananas. Mix everything together. Drop on parchment lined baking sheet. Bake at 350 for 35 minutes (yes, really 35 minutes…I thought it was a typo, but it really does take that long). Show restraint until they’re cool. They taste 1,000 times better that way. Bake at 350 on parchment lined baking sheet. Mash bananas and add everything else together with them. The original recipe said to press the dough into a cookie cutter to shape, but I just rolled mine into golf ball sized balls and flattened them with my hands. Worked perfectly. Bake 20 minutes. Same recipe as above. Only, substitute a nut butter of your choice for the oil. And add 2-3 tablespoons of unsweetened cocoa powder (I didn’t measure, I just dumped so this is a rough estimate—adjust to taste). I also added a couple tablespoons each of flax seed and ground quinoa (again, this is a rough estimate). At the last moment, I added just a touch of oil because I got nervous, but I don’t think it was necessary. Now it’s your turn. 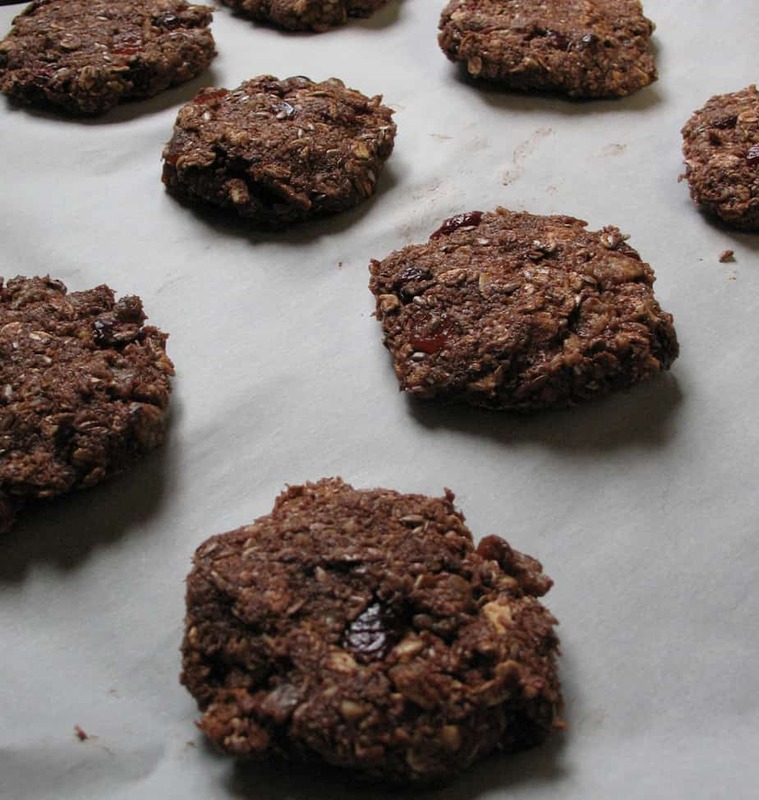 Do you have any healthy cookie recipes you want to share with the rest of us? I’d love to hear about them.